In a rare ruling a Melbourne couple have been denied the chance to go through IVF treatment to conceive a child. Melbourne authorities have refused to let the couple seek IVF treatment due to ‘bad parenting’ of the woman’s other children. After losing their only other child together to SIDS the couple wanted a chance to have another child. The woman is reportedly so upset by the tragedy that she carries her infants ashes around with her. Under Victorian law couples seeking IVF treatment are required to go thorugh a child protection check and they did not meet the requirements of this check. In recent years the Herald Sun reports that her 4 other children have been removed from her custody a number of times. This ruling has only come into place in Victoria from 2010 and there are only a handful of other cases where couples have been refused treatment, most of which have been overturned and the parents to be have been allowed to go down the track of IVF. Not fully knowing the case it’s hard to comment ..but as far as I can read into this the authorities have done what is right and have given a lot of thought to the future upbringing and care of a future infant. we need to focus on morals but society is all over the place these days. Better family structures equal better people. stability IS required. Why should Ivf users have to go through these tests? Parents that are able to conceive naturally don’t have to and can have kids when they please even if it’s to the detriment of their current family and continuing dependence on welfare. Those that can afford the ridiculous costs for ivf to try to have children – (might I add that these costs can’t even be offset at all under medical expenses with new tax legislation ), are paying a lot of tax that contributes to all those families using government welfare for their children. I’m ok with the police record and child protection order checks (having gone through them myself), it’s just a shame, and slightly offensive these checks can’t be put on natural conceiving parents also. As a family that has also undergone IVF treatment I totally agree with you. Couples who are able to conceive naturally don’t have to jump through the hoops that we do, it’s just not right. From what I have read here, it was the right thing to do. If they are unable to provide her other kids with what they need, they should not create more. good on the government for stepping in needs to happen more often i am sure! From what was written I think the authorities have done the right thing. At least the system works here! Now all the Government & Child Protection need to do is put red flags on Medicare cards of people who are deemed a risk to Children eg. Battery, Family Violence, Pedophiles, Domestic Abusers. It’s good. And I think all parents should have to complete a course and screening before being able to keep their child. You have to have a license to drive a car, a license to keep a reptile, but absolutely nothing to take care of the most precious things on this earth our children. I think this is great and there should be more in depth screening on all couples everywhere not just Victoria. It should include any interaction with child protection related authorities at all. This couple does not need another baby they need to spend their money on grief counselling as having another baby does not take the pain away from the loss of another or replace the lost baby. Doesn’t sound like she have dealt with the loss of her baby if she is still walking around with the ashes. It not something you get over but you dope on. She should invest her time and money in the children she has been blessed to already have. I think there should also be assets test, financially test and employment test for the families trying for IVF. I find your comments highly offensive that IVF patients should be given further tests, including assets & employment record, before proceeding with treatment. Did you have to do that before starting a family? Why would you assume that people who need to turn to IVF should? Undergoing IVF treatment is already an extremely raw & emotional time, we don’t need to be made to feel like second class citizen’s as well. 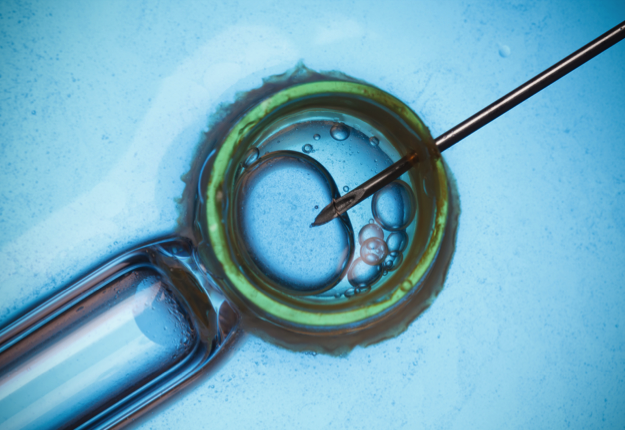 Being told that you need to turn to IVF to start a family is not a nice thing to hear. As someone else said, it would be a great idea for ALL people to undertake some kind of parenting classes, not just people undergoing IVF treatment, but to imply that IVF patients are doing it for the wrong reasons is just ludicrous.